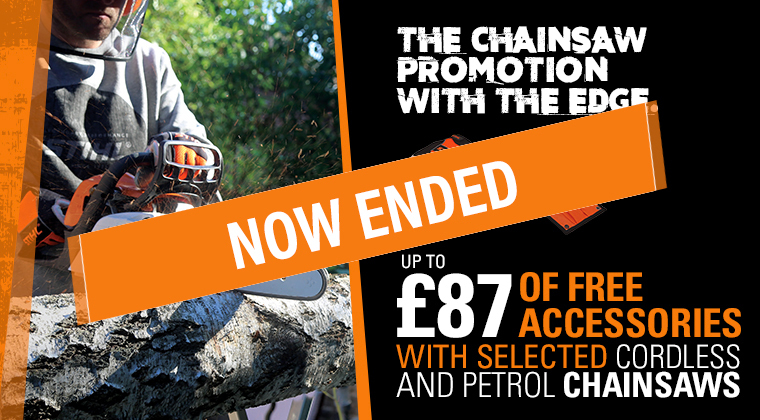 The 2018 chainsaw promotion has now ended. 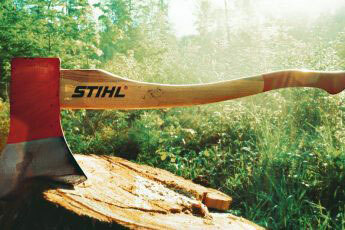 STIHL’s famous chainsaw promotion is back! Available in your local STIHL dealer from the end of September, you will receive free STIHL accessories worth up to £87 when you buy selected chainsaws. Buy either the MS 180, MS 181, MSA 160 C-BQ or MSA 200 C-BQ chainsaws and you’ll receive a filing kit, the ADVANCE MS Ergo gloves and a pair of clear contrast goggles. Or if you are looking for a bigger saw, buy either the MS 211, MS 231 or the MS 251 and you’ll receive the filing kit, the ADVANCE MS Ergo gloves, a pair of clear contrast goggles, plus one of our forestry axes. 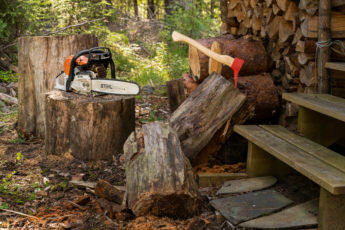 These chainsaw models are ideal for domestic use in and around the garden. 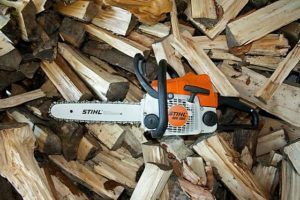 They make maintaining small trees and bushes a piece of cake and if you have your own log-burning stove, these machines are perfect for sawing your own firewood. You also have the choice of either petrol or battery-powered machines, with the MSA 160 and MSA 200 saws featuring in the promotion. These two chainsaws are part of our PRO Cordless range with batteries that feature intelligent electronics and boast impressive run times. You can get up to 42 minutes run time with the MSA 160 C-BQ and the recommended AP 200 battery. Alternatively if you need a bit more power from your chainsaw, the MSA 200 C-BQ delivers 44% more cutting power than the MSA 160, but with the same low noise levels and a run time of up to 45 minutes with the recommended AP 300 battery. Or if petrol is more your thing, the MS 180, MS 181, MS 211, MS 231 and MS 251 all have economical 2-MIX engines and are great for property maintenance. The MS 181, MS 211, MS 231 and MS 251 chainsaws are all also available in C-BE versions. These versions have additional comfort features like our ErgoStart technology, which means the saw is almost effortless to start. They also have Quick Chain Tensioning so that you can tension the chain quickly and easily without tools. And the free of charge accessories are just the ticket to help you to get the most out of your new chainsaw. 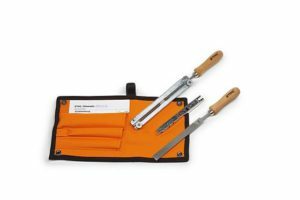 The filing kit is a must-have accessory for any chainsaw user – a sharp chain is essential to keep your saw performing at its best. 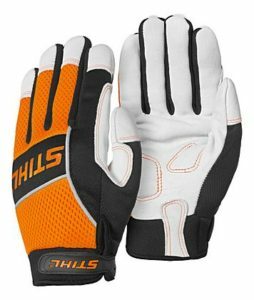 The ADVANCE MS Ergo gloves, with leather palms and breathable material, and the clear contrast goggles are both comfortable to wear, and are an important part of the recommended Personal Protective Equipment (PPE) kit you should be wearing when using a chainsaw. 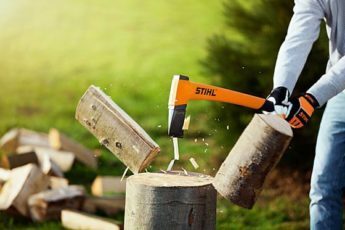 Check out our handy guide to PPE or speak with your local STIHL dealer to find out what else you should be wearing when operating a chainsaw. Finally, the forestry axe makes short work of splitting timber up to 30cm long – perfect to load the wood-store for winter. So what are you waiting for? Visit your nearest dealer today for expert advice, a brand new chainsaw and free accessories! The Promotion will run for a limited time only, opening on 24 September 2018 and closing at midnight on 14 December 2018. The promoter of this Chainsaw promotion is ANDREAS STIHL Ltd. STIHL House, Stanhope Road, Camberley, Surrey, GU15 3YT, UK. The Promotion will be held at participating dealers only. Participants will receive a filing kit, a pair of ADVANCE Ergo MS gloves, and a pair of clear contrast goggles worth £54 RRP with the purchase of an MSA 160 C-BQ, MSA 200 C-BQ, MS 180, MS 181 or a MS 181 C-BE. Participants will receive a filing kit, a pair of ADVANCE Ergo MS gloves, a pair of clear contrast goggles and a forestry axe worth £87 RRP with the purchase of an MS 211, MS 211 C-BE, MS 231, MS 231 C-BE, MS 251 or MS 251 C-BE. There is no cash, credit or other alternative offered for any of the Promotions. There is no limit to the number of redemptions of this offer per household. Participants agree to be bound by these terms and conditions. Any information or instructions published on www.stihl.co.uk/offer form part of the terms and conditions. To be eligible to participate in the Promotion you must be a GB resident (including IOM or Channel Islands, excluding NI) aged 18 years or over. ANDREAS STIHL Ltd. reserves the right to suspend, cancel or amend the Promotion and/or review and revise these terms and conditions at any time without giving prior notice and by continuing to take part in the Promotion subsequent to any revision of these terms and conditions, entrants shall be deemed to have agreed to any such new or amended terms. By participating in this Promotion, you agree, to the maximum extent permitted by applicable laws to release and hold the Promoter harmless from any and all liability whatsoever for any injuries, losses or damages of any kind arising from participation in or in connection with the Promotion, including without limitation, awarding, acceptance, receipt, possession, use and/ or misuse of the Chainsaw Promotion. The above limitation of liability shall not apply to death or personal injury caused as a result of Promoter’s negligence. Hi, I purchased a MS181 C-BE on the 29th September from one of the listed authorised dealers, Masseys (Swadlincote) I was not offered the promotion. How do I now receive the accessories? Hi Donna, thanks for your comment. Could you please give our Customer Services team a call and they can investigate for you? 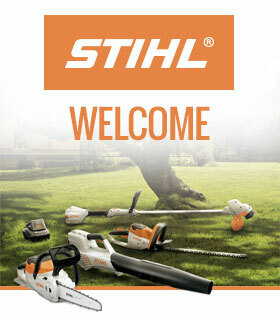 You can contact them on 01276 417678 or by email to enquiries@stihl.co.uk. What is the size difference between the Advance x-vent Large and the X- Large? Especially the arms. Thanks.